Securing economic growth by ensuring that its rewards are distributed to the poor and marginalised through social grants and effective delivery, remains a key challenge facing South Africa in the second decade of democracy. 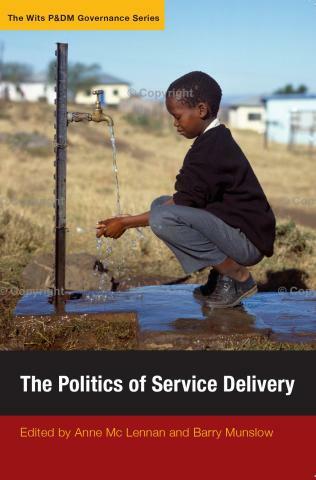 The Politics of Delivery examines the obstacles to effective service delivery and, in a series of case studies, reflects on lessons for delivery in developing countries. The book shows that decentralisation and participation can sometimes impeed provision if lower levels of government lack capacity and resources. If this is the case, how can growth be maintained whilst addressing the need for redistribution to the poor? Can South Africa create a developmental state with limited administrative capacity? Is it time to rethink delivery strategies in the cold light of experiences gained thus far? South Africa can boast many achievements since the beginning of majority rule, but there are also some countervailing trends. These reflect the tensions implicit in the transition from the apartheid system to one that promises democracy and development. The Politics of Delivery explores these tensions from different angles, and looks forward to a period where issues are defined less by legacy and more by policy. Anne Mc Lennan is an Associate Professor in the Graduate School of Public and Development Management, University of the Witwatersrand, Johannesburg. Barry Munslow is a Visiting Research Professor at the Graduate School of Public and Development Management.